Want the intel on San Francisco's most talked-about local spots? We took a data-driven look at the question, using Yelp to deduce which restaurants have been most discussed this month. The results? Crab and other kinds of seafood appear to be having a moment -- even in the form of Scandinavian open-faced breakfast sandwiches. To find out who made the list, we looked at San Francisco businesses on Yelp by category and counted how many reviews each received. Rather than compare them based on number of reviews alone, we calculated a percentage increase in reviews over the past month, and tracked businesses that consistently increase their volume of reviews to identify statistically significant outliers compared to past performance. Open only since last November, the upscale new dim sum and banquet venue that replaced Crystal Jade Jiang Nan at Four Embarcadero Center is trending compared to other restaurants categorized as "Dim Sum" on Yelp. Citywide, dim sum places saw review counts increase by a median of 1.5 percent over the past month, but Harborview saw a dramatic 122.2 percent increase, with a slight downward trend from a four-star rating a month ago to 3.5 stars today. 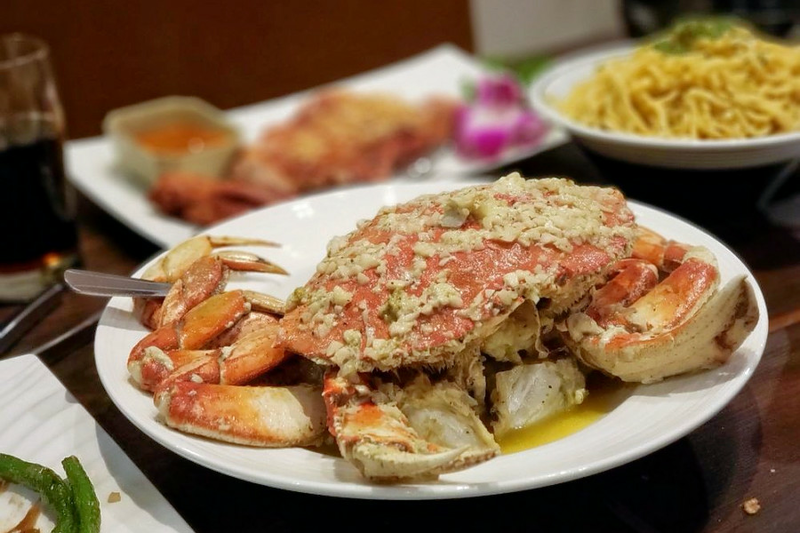 The 20,000-square-foot space from the owner of Chinatown's R&G Lounge serves a la carte Cantonese dishes, as well as dim sum, and has views of the bay and the Ferry Building. The classic salt-and-pepper crab is popular with Yelpers, but diners will also find some stepped-up versions of dim sum classics, like soup dumplings filled with kurobuta pork and black truffle. You can take a look at all three menus here. 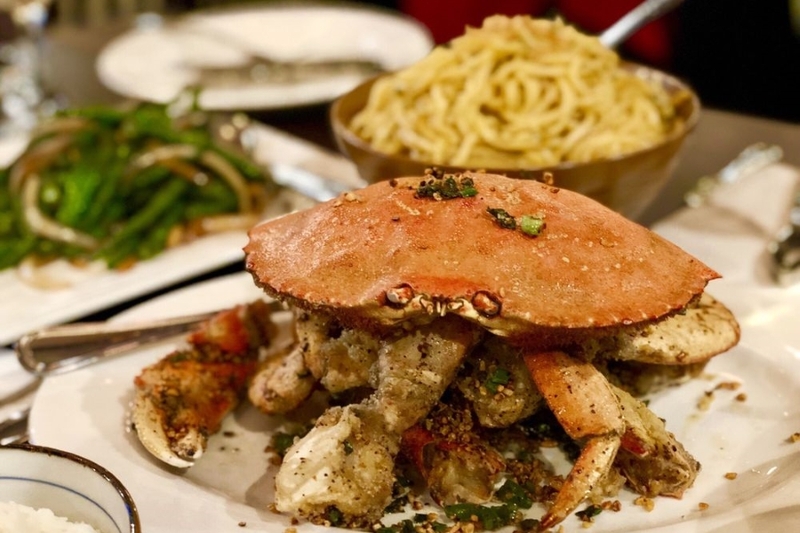 Whether or not you've been hearing buzz about the Outer Sunset's Golden Crab House, the Vietnamese fusion seafood spot is a hot topic, according to Yelp review data. The spinoff of the Richmond's popular PPQ Dungeness Island also opened last November, and it's been getting major buzz from Yelpers. While businesses categorized as "Seafood" on Yelp increased their review count by a median of 1.1 percent over the past month, Golden Crab House bagged a 57.1 percent increase in reviews within that timeframe, with a slight downward trend from a 4.5-star rating a month ago to its current four stars. 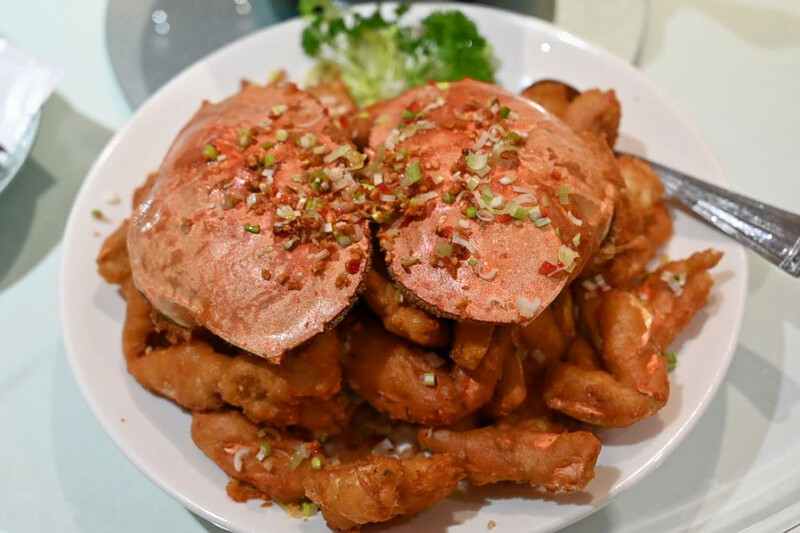 Located at 1830 Irving St. (between 19th and 20th avenues), Golden Crab House offers whole roasted and fried crabs with classic accompaniments like Vietnamese garlic noodles and crab fried rice. There are also set dinners intended for two, four or six diners. The Western Addition's Kibatsu is also making waves. Open since last October at 400 Haight St. (between Webster and Fillmore streets), the upscale sushi bar has seen a 73.5 percent bump in reviews over the last month, compared to a median review increase of 2.1 percent for all businesses tagged "Japanese" on Yelp. 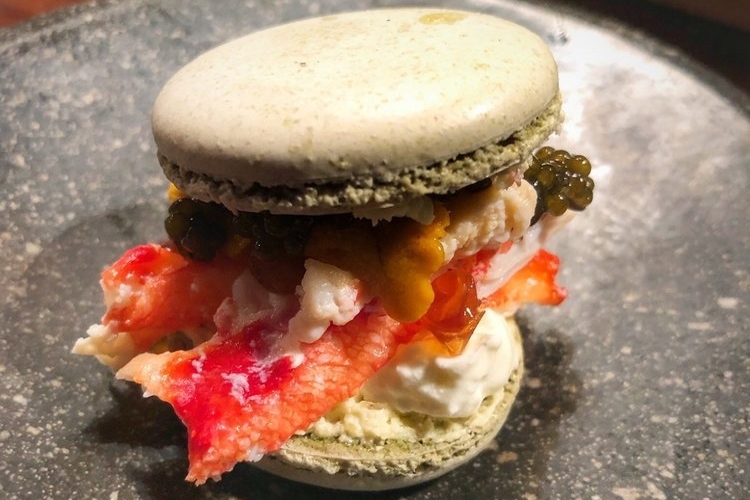 Kibatsu offers a la carte dishes, as well as omakase selections for either nigiri or sashimi, finished with a creative touch -- like a meal-ending macaron that's actually a mini seafood sandwich. Over the past month, the newcomer has maintained a convincing 4.5-star rating among Yelpers. The Hayes Valley location of Cupertino-based Doppio Zero is the city's buzziest Italian spot by the numbers. 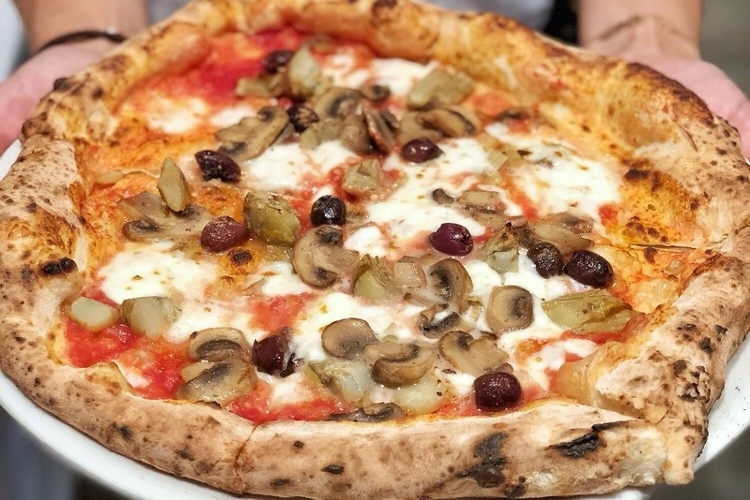 The Neapolitan-style pizzeria, which opened at 395 Hayes St. (between Gough and Franklin streets) last August, increased its review count by 17.7 percent over the past month, an outlier when compared to the median review increase of 1.3 percent for the Yelp category "Italian." Doppio Zero offers classic Italian appetizers like fried calamari or burrata to accompany its personal-sized pizzas and pasta entrees. And yes, there is a seafood option: the Pescatore, topped with clams, calamari, mussels, shrimp, roasted garlic and oregano. Check out the full menu here. Duboce Triangle's Kantine, open for business at 1906 Market St. (between Buchanan and Guerrero streets) since last June, is currently on the upswing in the breakfast and brunch category on Yelp. 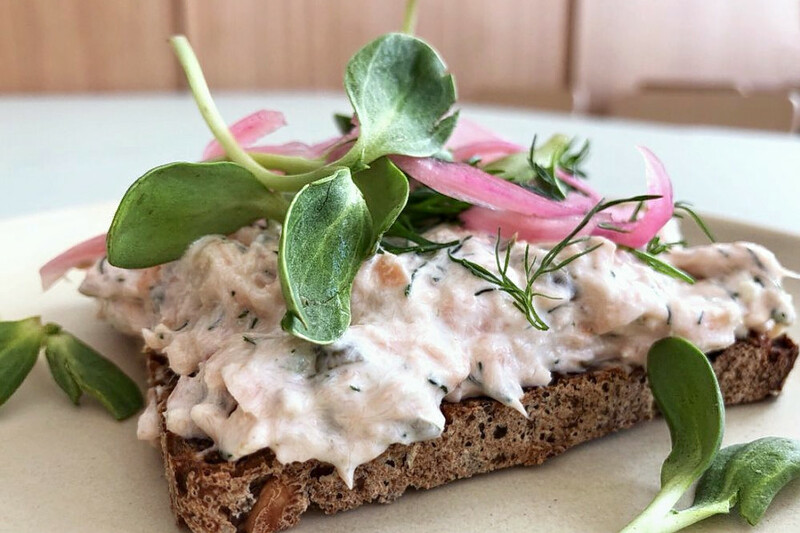 While businesses categorized as "Breakfast & Brunch" on Yelp increased reviews by a median of 1.3 percent over the past month, this Scandinavian bakery-cafe increased its count by 19.2 percent -- and kept its rating consistent at a strong 4.5 stars. Kantine's menu changes daily, but it consistently offers pastries and the option of a customizable Danish-style brunch board, whose contents diners use to make the open-faced, mix-and-match sandwiches called smrrebrd. Runny eggs, house-cured salmon and pink bay shrimp have all made recent appearances on the list of options; you can see some sample menus at its website here. Also abuzz in the world of San Francisco brunch: 1608 Bistro, a Filipino-French fusion spot, which has seen a 15.8 percent increase in reviews.